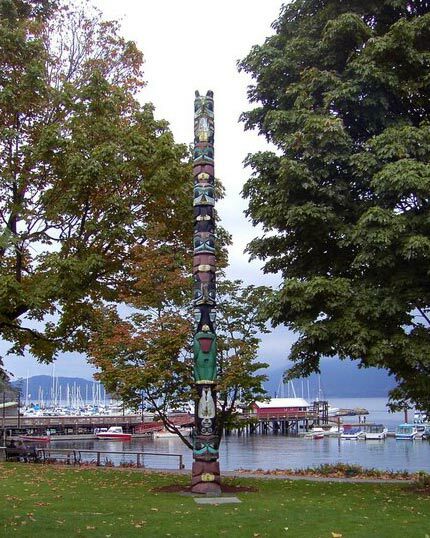 Born in Prince Rupert, BC in 1972, Jesse began his interest in Haida Art as a boy, influenced strongly by his Haida-Cree heritage and many art books. While accompanying his grandfather on fishing excursions to the islands of Haida Gwaii (Queen Charlotte Islands), the mystical richness of the land unfolded to his creative and spiritual senses. He developed a love for the many unique islands and adopted an intense respect for the ocean. He was impressed by the ecological richness, the abundant fish and animal species and how they wove themselves into the cultural canvas of the Haida People. To satisfy his interests, Jesse explored the works of artists Bill Reid, Robert Davidson and Don Yeomans. Upon his graduation from school his family presented him with a repousse bracelet by Don Yeomans and this gift sparked the desire to learn to carve. Jesse met with Don Yeomans, in Vancouver, BC, and began his study. Later, he left to pursue work as a commercial fisherman and in recent years, has relocated to Northwest BC to study with Philip Janze. He was impressed by Philip’s reputation as an excellent teacher and has enjoyed this study in gold in silver. 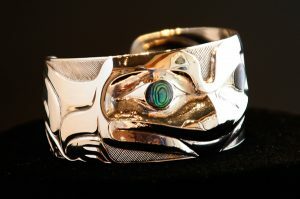 Jesse’s pieces are individualized by their boldness and depth, which are techniques found in traditional Haida art.